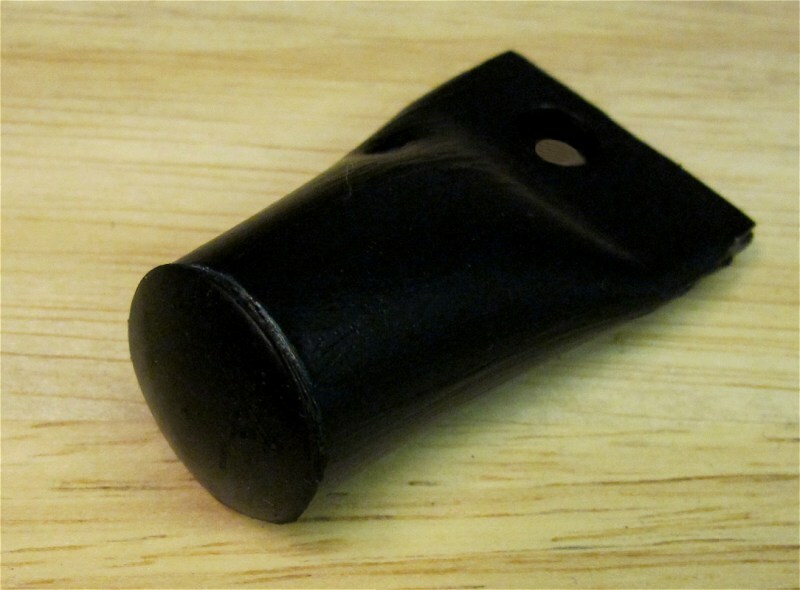 I installed the TomTom mount kit today and following the advice of the guys at HPS, I got a small piece of 19mm tubing, flattened one end in a vice and then drilled a hole in it so that I could use one of the clip-on bolts to secure it. 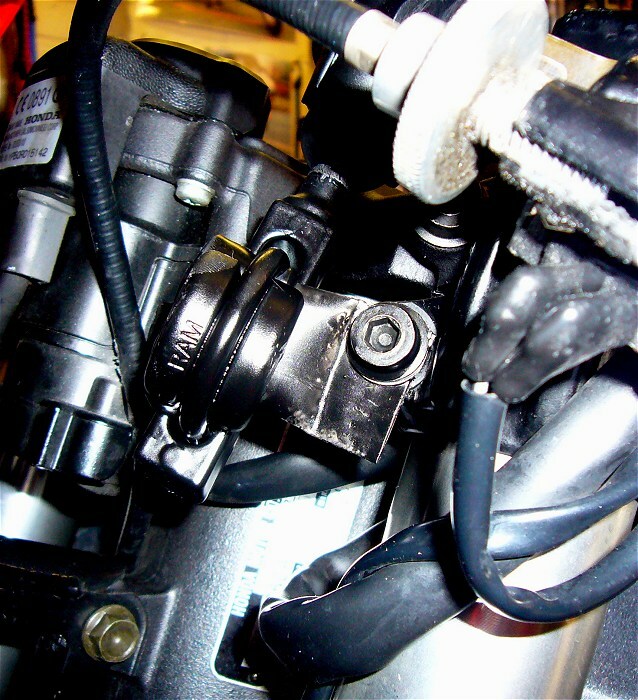 That small piece of pipe allows you to use the supplied RAM mount and U-Bolt as shown in the above photo. I suggest that you attach the RAM Mount to the pipe before bolting it all to the bike. As you can see, I sprayed the whole thing black before mounting it, so that it blended in with everything else. Although I'm quite happy with the outcome, I'm going to redo it and use a longer piece of pipe to get the TomTom mount much lower down and therefore closer to the yoke. Once I'm happy with the position, I'll hardwire the mount to an ignition source. UPDATE: The original tubing I fitted proved to be a little insubstanstial, so I made a new one from a much stouter piece of 19mm tubing (it was 3 inches off a bird-feeder stand). 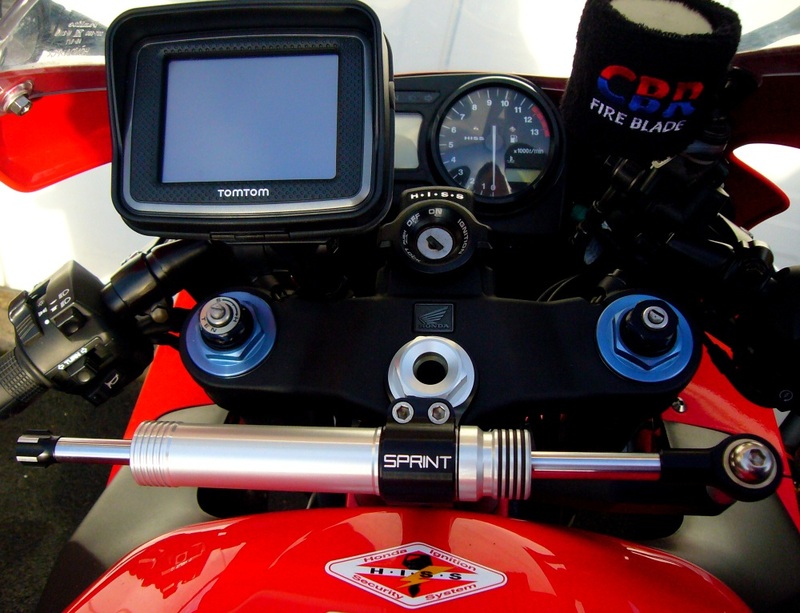 The TomTom is now 100% ROCK SOLID using just that one bolt solution. 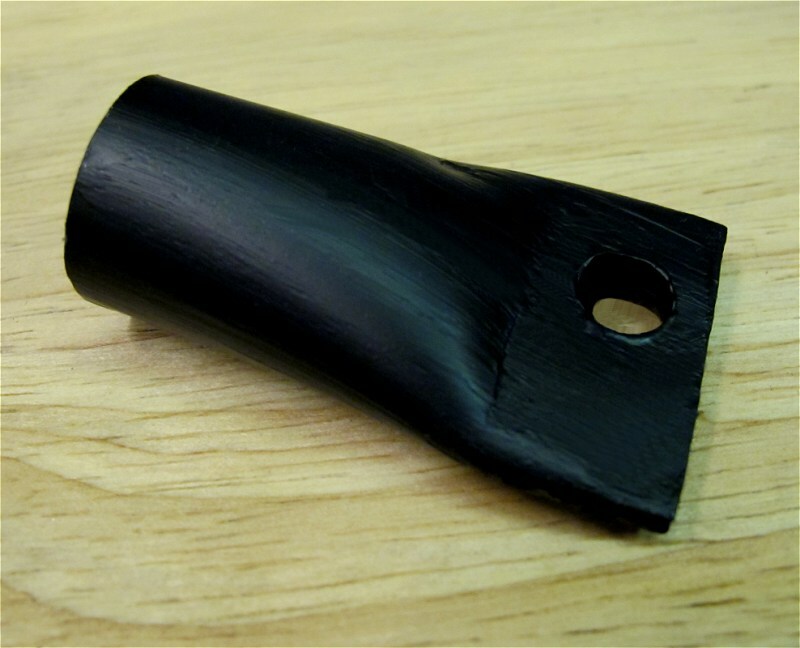 Below are photos of the piece I made, complete with a rubber grommet on the end to "finish" it off. Last edited by MadDogMcQ; 12-22-2010 at 02:52 AM.